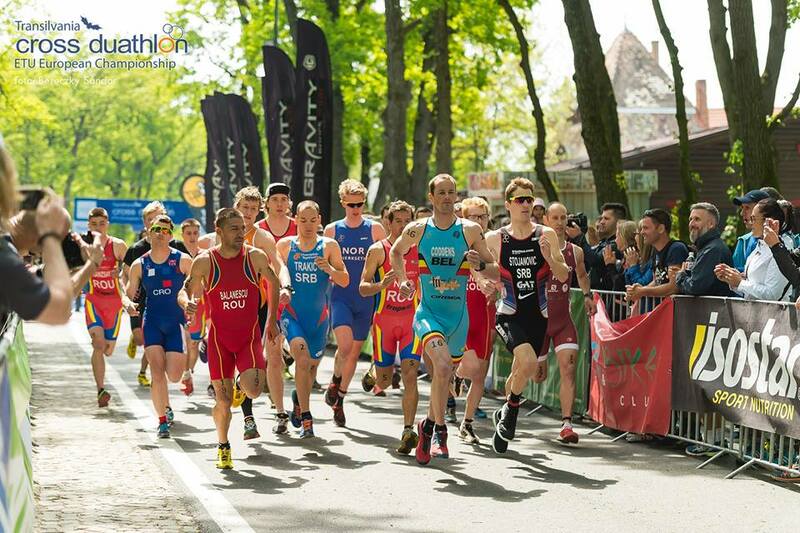 The week before the Cross Duathlon Championships we saw a stunning victory from Belgium’s Jorik van Egdom. 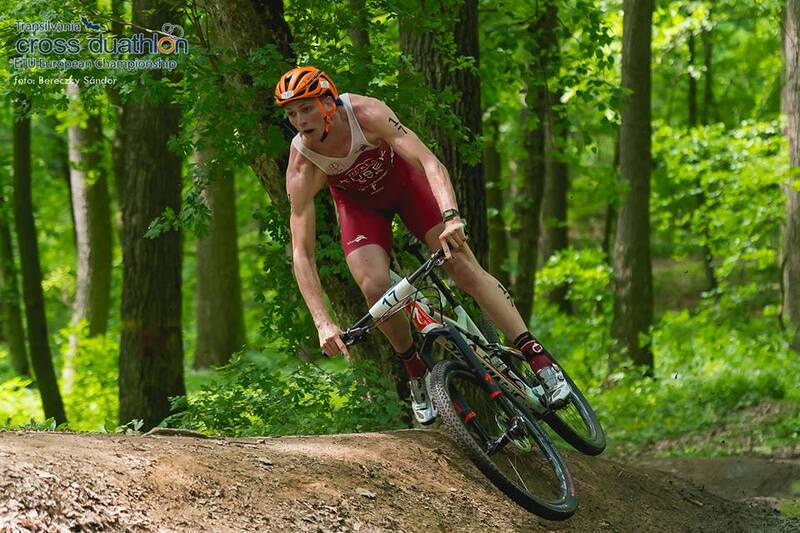 An U23 athlete who beat all-comers and who put in a stunning display of riding that left his mark so clearly. Well, you have seen the results and yes, it happened again in Transylvania. 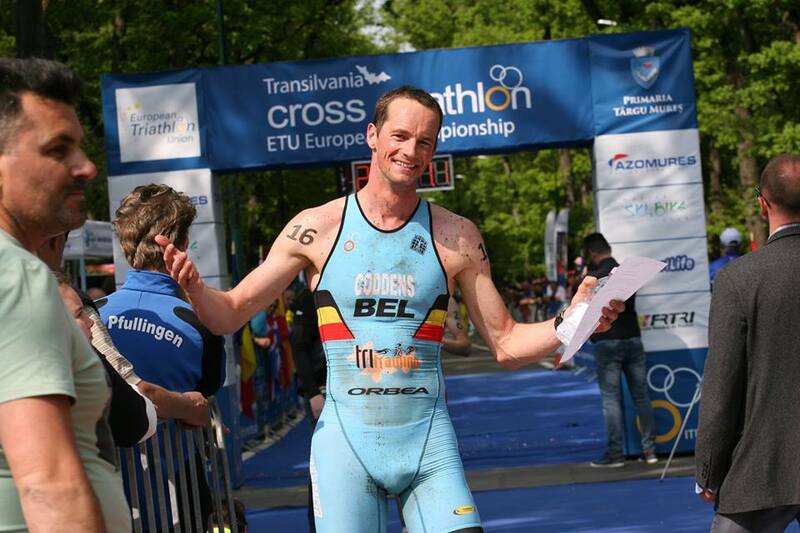 Due to an entries error, Xavier Jové Riart had been entered by his Federation as an elite athlete. Thank goodness for ITU’s Enrique Quesada, who was sitting on a plane that was about to fly to Rio for ITU as part of the risk assessment procedures. 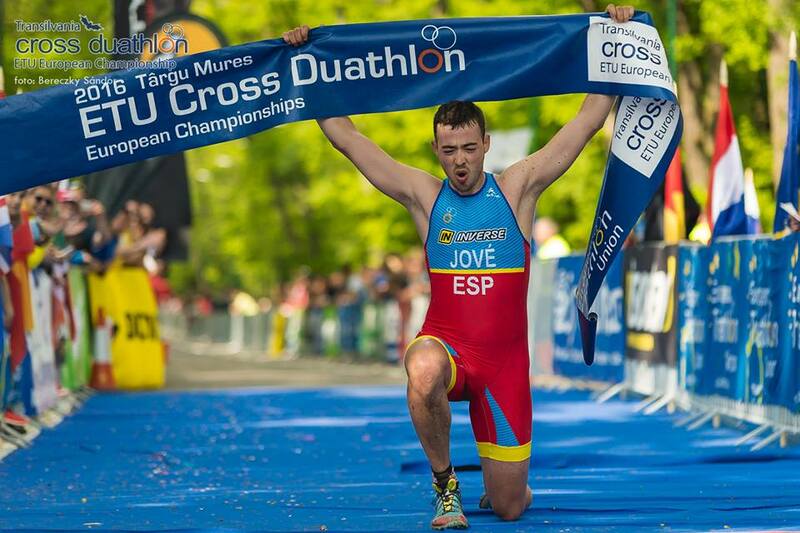 It was Enrique who was able to confirm at the very last moment that the change from Elite to U23 was OK and so, Jové was reallocated to the U23 event. 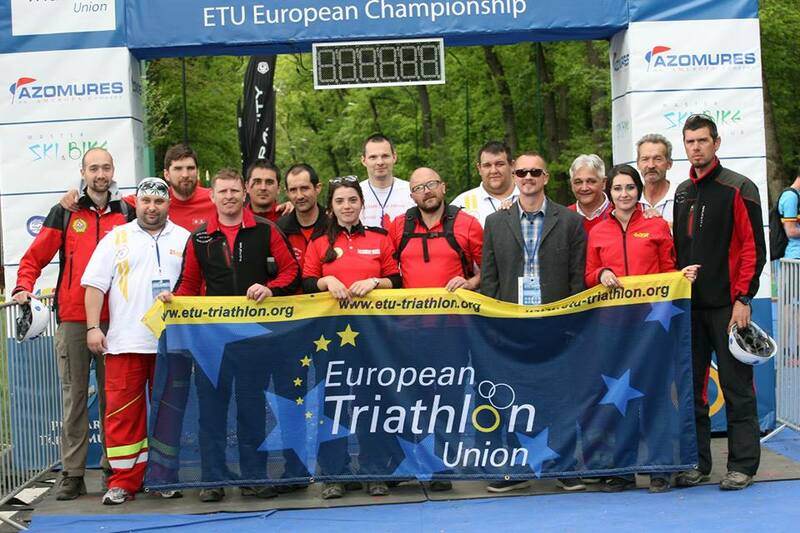 As it quite common now, the Elite Men and U23 Men started together. The pre-race favourite and defending champion was another Belgian, Kris Coddens. A course familiarisation on the Friday had snapped his rear mech but as luck would have it there was a skilled mechanic who could repair the damaged Orbea and but Saturday saw the problem solved and now … as we all waited for the predicted thunderstorms to wreak havoc out on the course … the race was on. Local hopes rested upon Ciprian Balanescu ROU. Before the familiarisation he explained that Kalkar had been a great race. He was chain-ganging with van Egdom and they were pulling away from the pack but then, everything fell apart. Was it the pace Balanescu thinks it was a nutritional problem due to not eating enough at the right time before the race. With that in mind he was keen to do well on home soil. He also knew the course well, having raced and won the 2015 Balkan Championships here when the organisers looked after him so well. 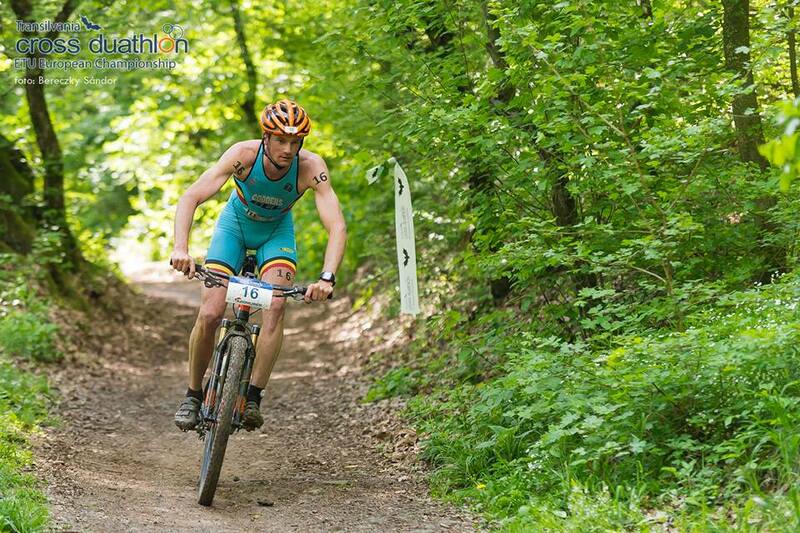 Joining them on the start and racing his first summer event, was the Russian winter triathlon expert, Evgeny Kirilov. A last-minute decision by the federation meant that he came instead of Pavel Andreev. 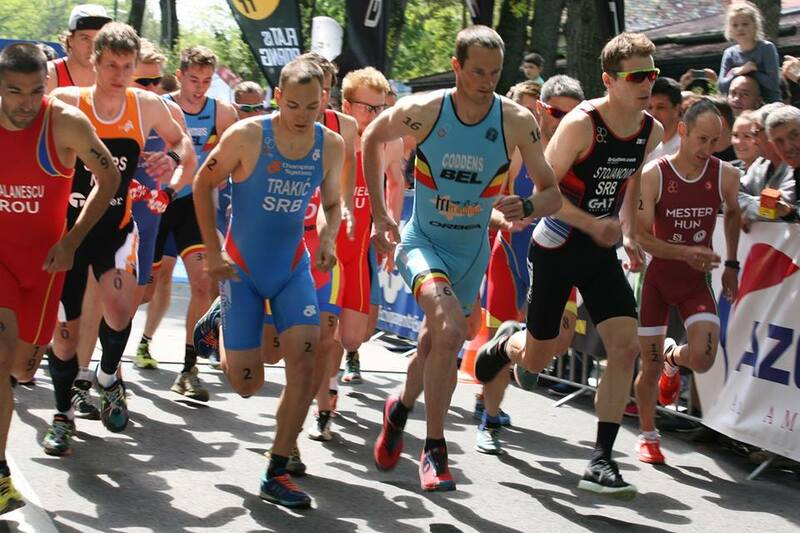 He raced in an all-black uniform as all of his race kit was winter-thick. Coming from Norway was Øivind Bjerkseth. His flight to Bucharest was uneventful. Sadly for him, his bike stayed in Norway and would not be delivered to him in time. Rules are rules and as both he and Kirilov missed the briefing, they would start the race with a 15 second penalty to be served on the first run. 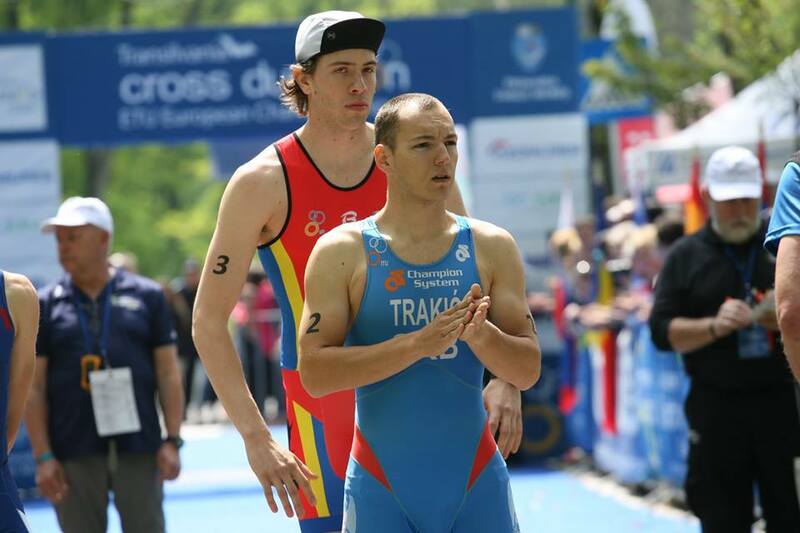 The Spanish male athletes had also missed the briefing and once again, the Race Referee pulled out the rule book. 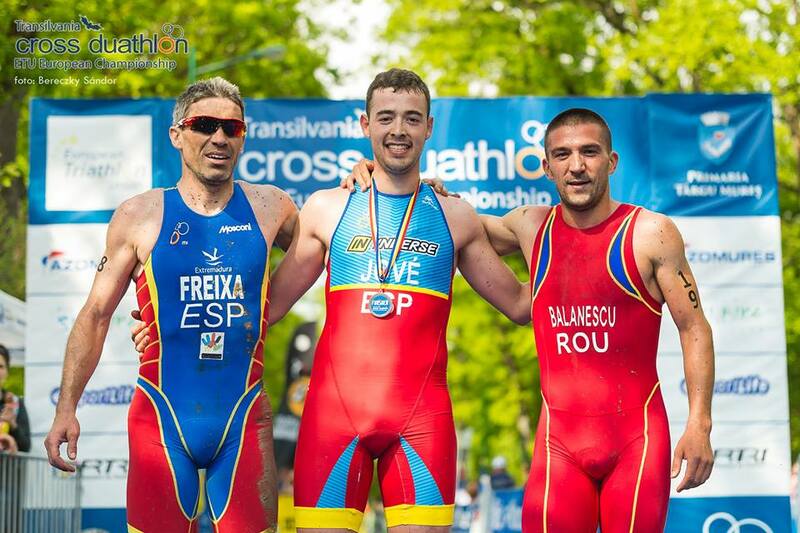 With a strong Age-Group background and a taste for winter triathlon, Spain’s Joan Freixa Marceló was advised of the bad news before the start. So the Chief Technical in the Penalty Box was going to have a busy day with 5 time penalties to manage in the first run section. 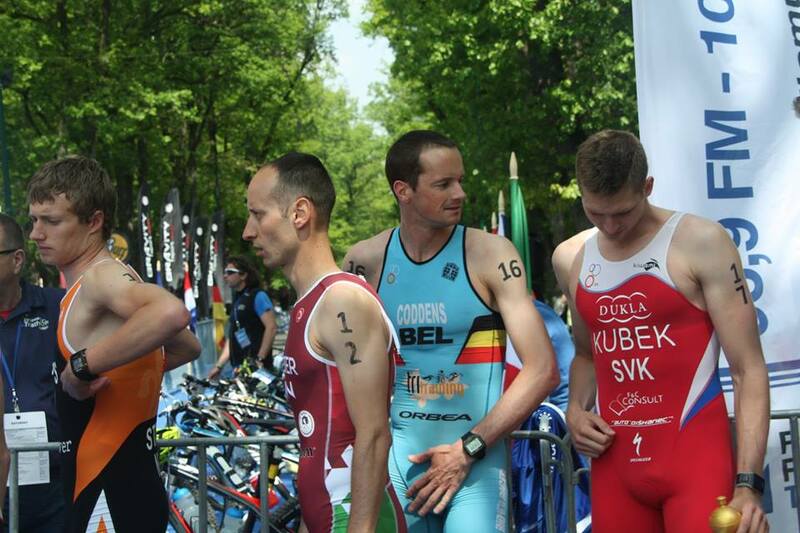 Lining up alongside the Elite were 7 U23 men, including Jové. Local hopes rested upon Attila Daniel. He had narrowly missed the podium in Kalkar and would hope here, on home soil, to have an advantage. Also from Romania was Daniel Madaras. 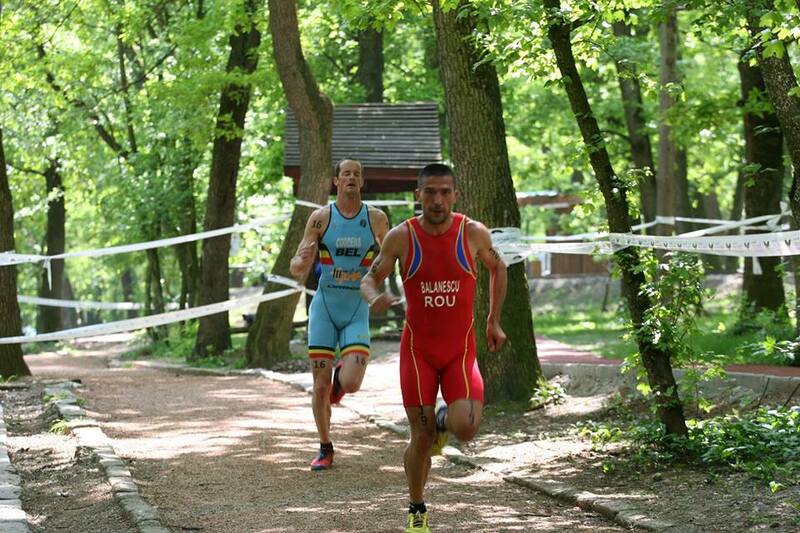 Croatia had sent two young athletes. 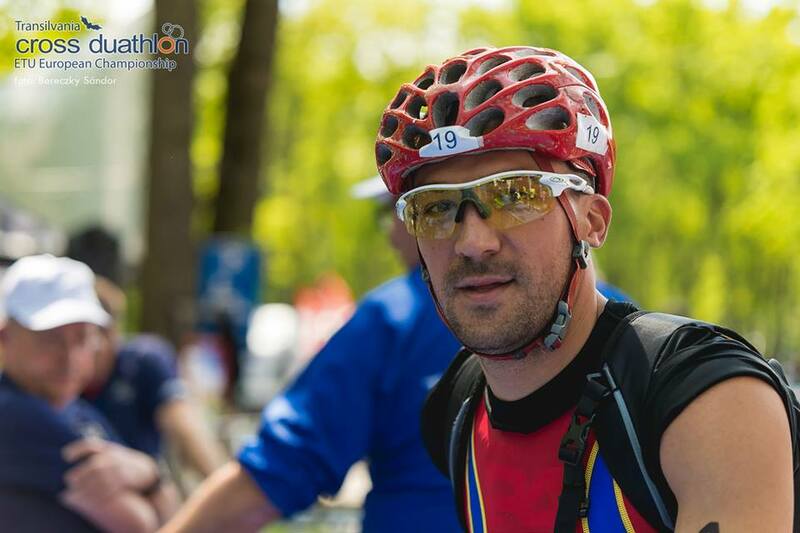 Eugen Popović has experience in the TNatura events and would be supported by Silvije Tomac. The Belgian blue would be seen on Robin Schueremans and from Turkey, under the watchful eye of his coach, Mustafa Şirin who took silver in his age group the day before, was Duran Akbaş. The start area was lined with spectators. The athletes toed the line. Then they sprinted off for the first run. It was Balanescu who blasted away down towards the tough ups and downs of the first run. He dragged Coddens behind him for a first lap of about 13 minutes. The pair kept that pace going for the most part of the first run and made it hurt for everyone. It looked as if Coddens was simply letting the Romanian run himself to exhaustion. As the final lap was concluded we saw that in fact it was Coddens who had dropped off the pace and to a very excited home crowd, it was Balanescu who came in to T1 with a minute advantage. Coddens had work to do. 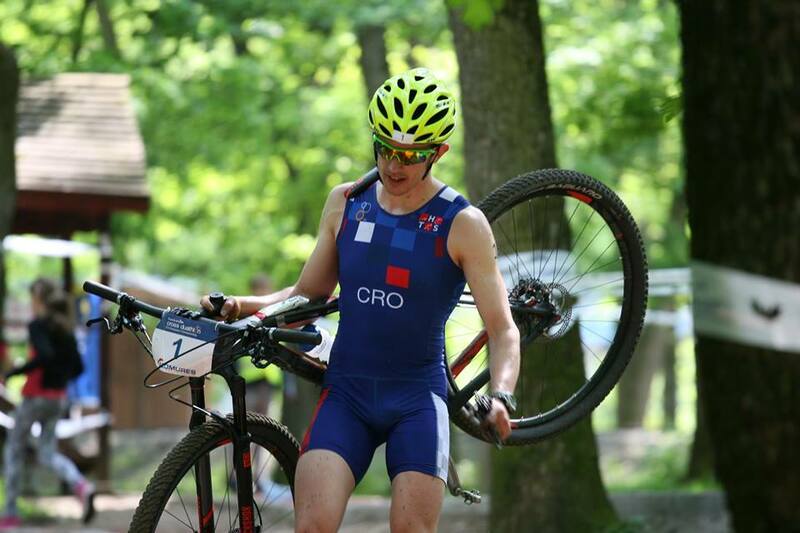 Ognjen Stojanovic SRB, who we see more often racing in the European and World Cups came in with Freixa on his shoulder. 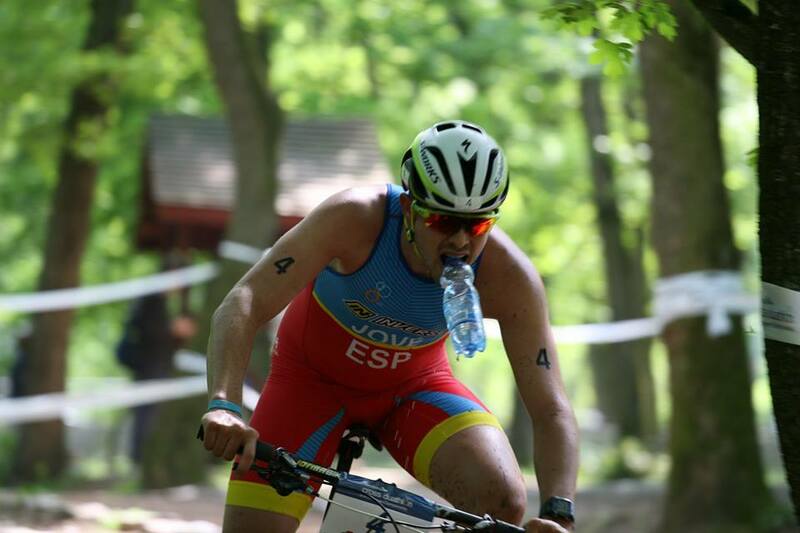 The older Spaniard had kept the power on and came in for the first transition some 40 seconds behind the Belgian. 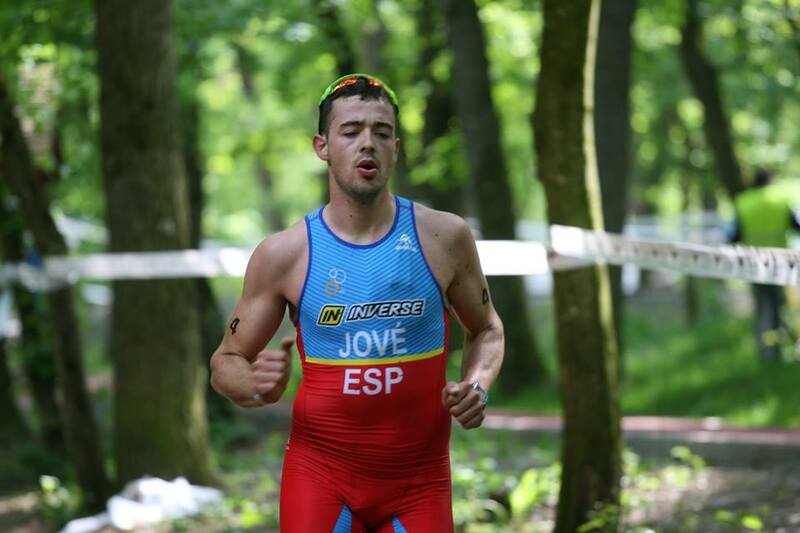 Leading the U23 was Daniel but Jové, concerned about his recent knee injury, was not so far behind. 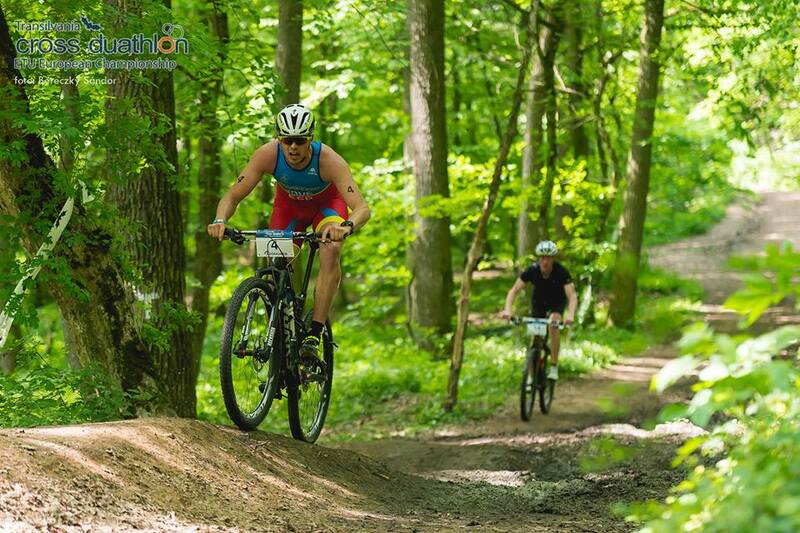 The tall Russian, Kirilov looked relaxed as he set off on his bike. 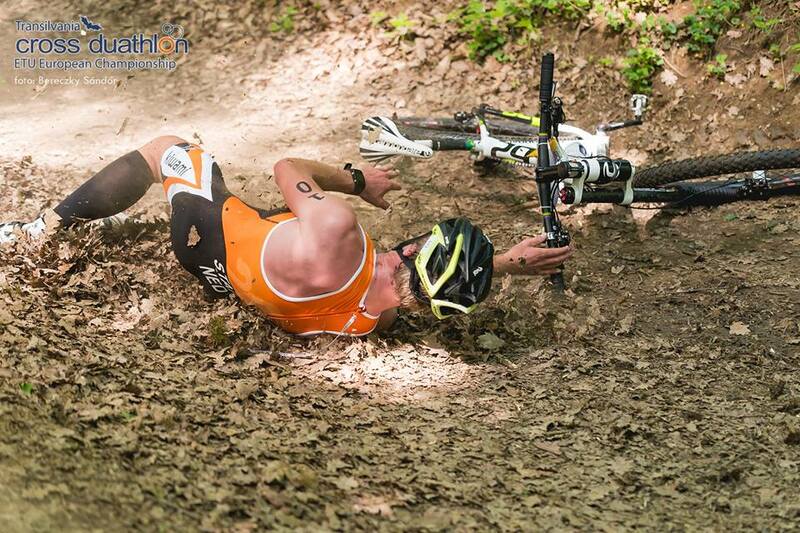 Out onto the bike course and things started to happen. Athletes started to take risks to make up time. Coddens, clearly the most experienced athlete on the course, dug deep but the pace of the first run was taking its toll. 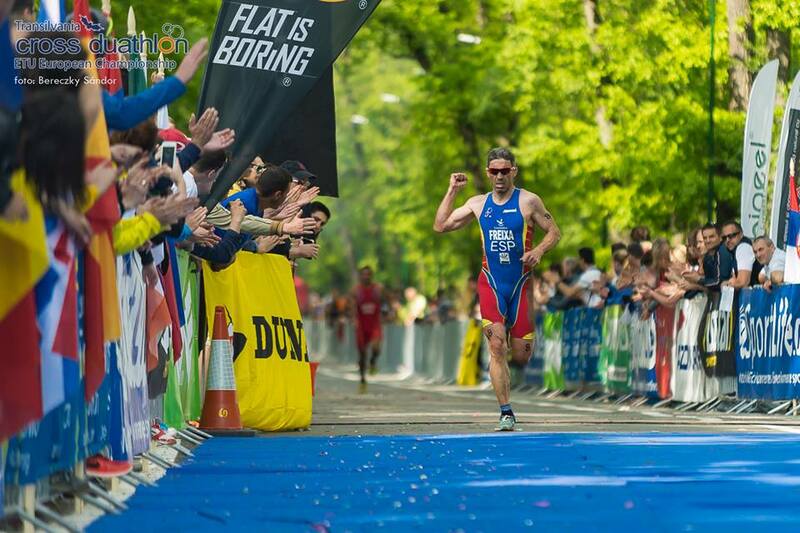 Balanescu was leading and making the local crowds go wild with their support. He was however to fall foul of the Competition Rules for littering outside the specifically designated areas. The briefing had been clear. This is an area of outstanding natural beauty and the rules permitted littering only in the area before and immediately after the aid stations. By lap 3, he had been overtaken by the young pretender Jové. 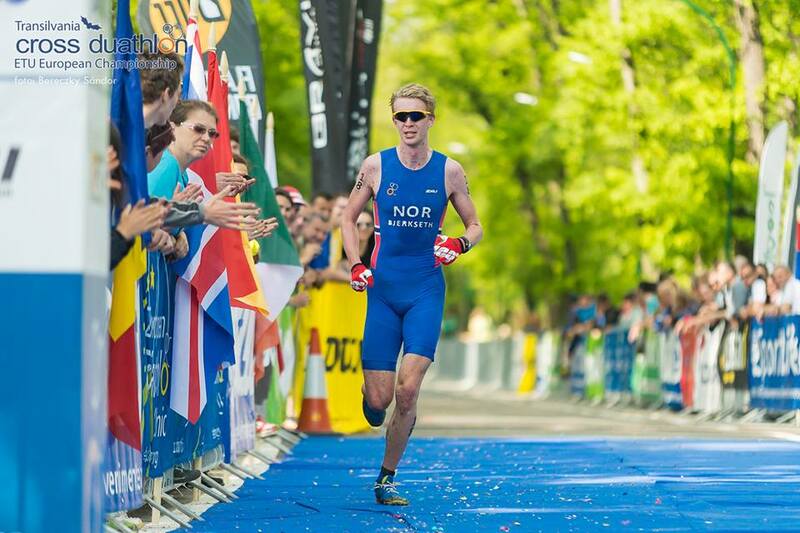 On the final lap Freixa pushed hard and surged past Balanescu but a big threat was being created by the Norwegian, Bjerkseth who moved up from 8th to 4th after the 4 laps. The crowds were now building on the climbs and their cheers could be heard around the venue. Click here for a very short video taken on one of the climbs. Be there next year for the full atmosphere ! 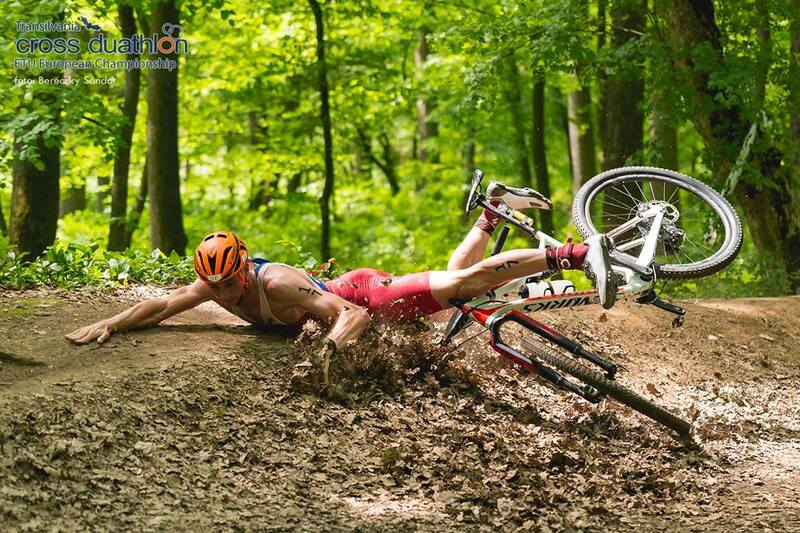 Joep Staps NLD had a spectacular crash right in front of the event photography team. This crash wrecked his gears and chain and he lost at least 5 minutes struggling with the rear wheel under the frustrated eyes of Johan Neevel who could only watch and not help for fear of the rule book being brought out. 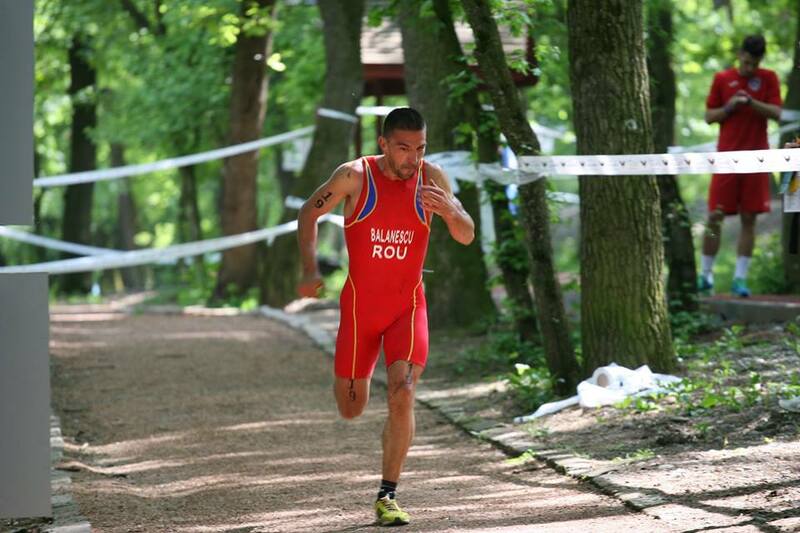 Having taken the lead and with a comfortable advantage over Balanescu, Jové had only to hold it all together but he knew how fast the Romanian had run on the first lap and he knew it was important for him to get a home victory. Behind him, Balanescu served his penalty but he had given too much too soon and was not going to keep Freixa away from the podium. 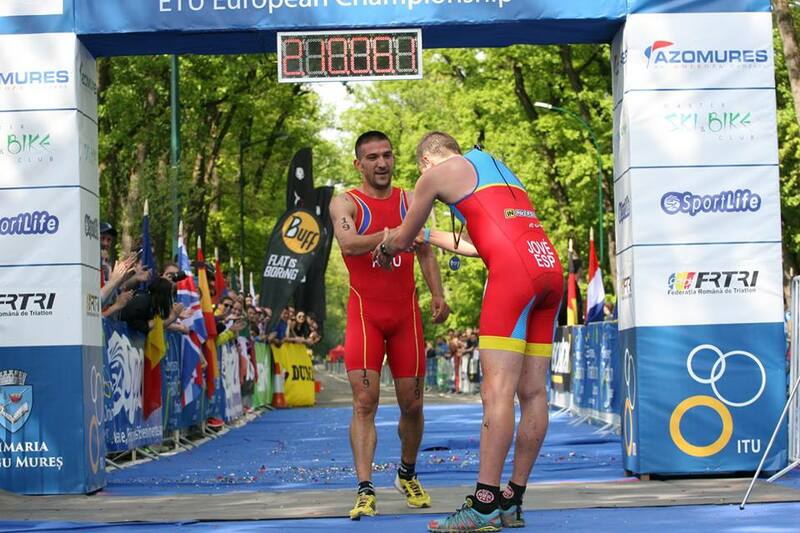 As the finish tape was raised it was Jové who, filled with emotion, made his way onto the blue carpet. 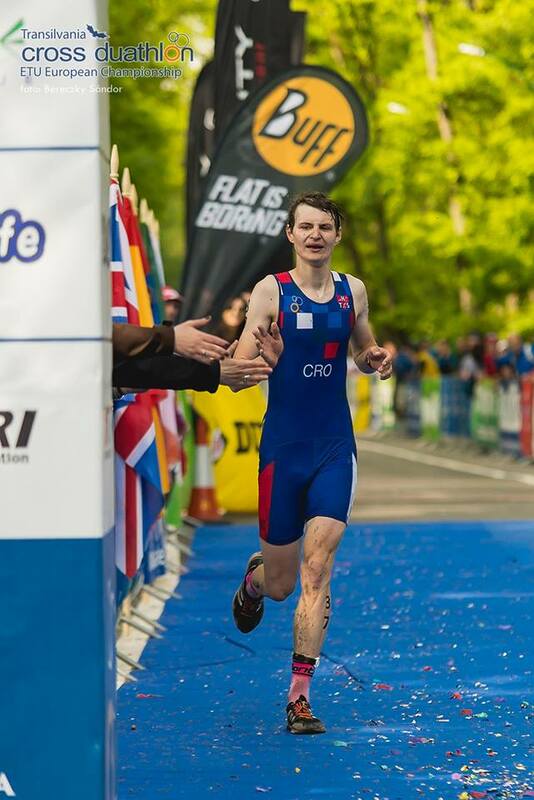 He had shocked them all and had won not only the U23 race but had beaten all the Elite. Romania settles for bronze and to a delighted Mum and Dad, it was Bjerkseth who, despite all the problems with his bike not arriving, took a well-deserved 4th place. In the U23 competition the winner was by now relaxing and trying to understand the enormity of his performance. Silver was to go to Daniel and bronze to Tomac, ensuring that once again the new Croatian race uniform would be seen on the podium. 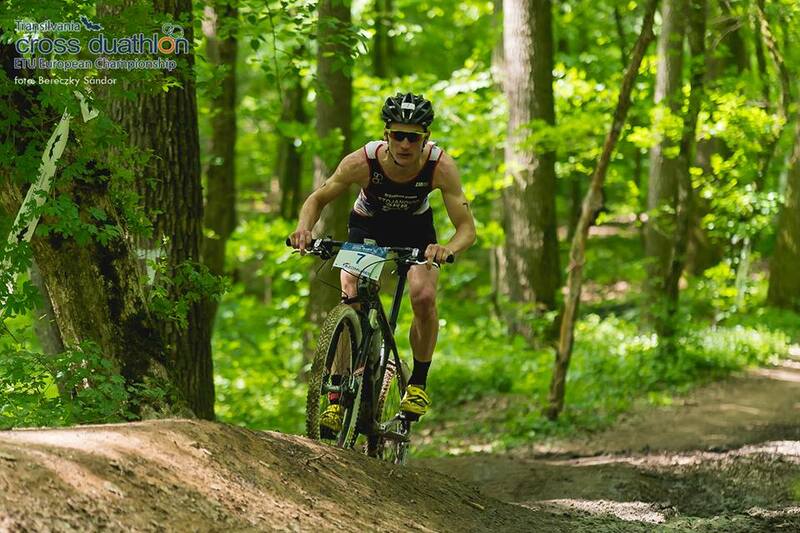 Vedran Planisek had a race from hell when he snapped his chain on the second lap. 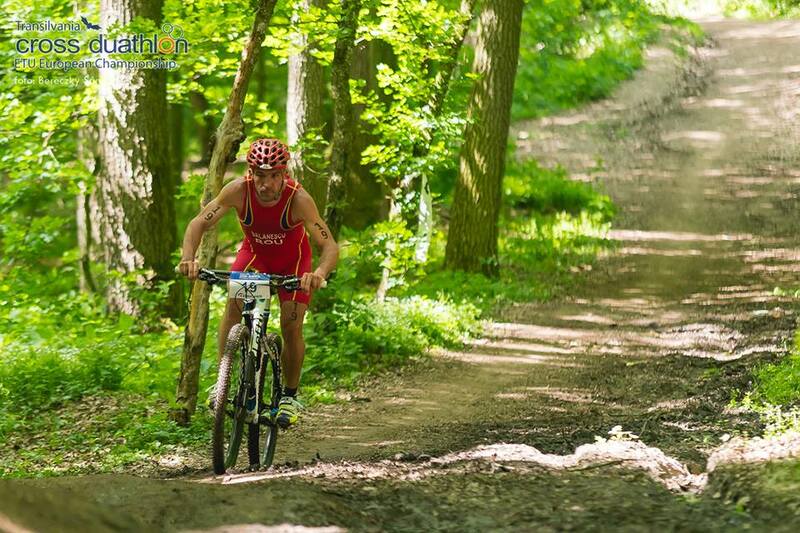 To the astonishment of the spectators and the Technical Officials he decided to run the entire bike course carrying the bits and pieces. Wise words from his supporters made him decide it was a run too far and he agreed that this time it would be a DNF. The Championships were over. 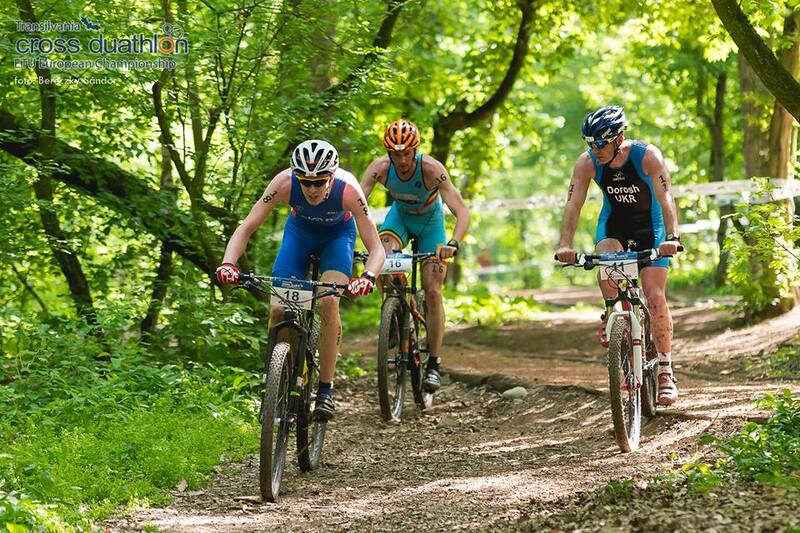 The athletes had raced a tough course at a venue that gave them real value for money. 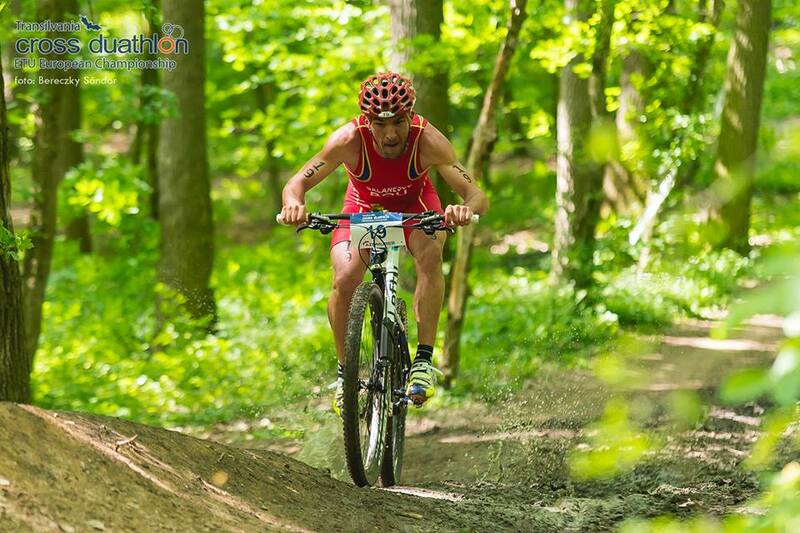 European Cross Duathlon Championships Devour Transylvania.